repeat - the QAL kickoff!! Welcome to the official kick-off of the repeat QAL! Instructions for the mini quilt "quilt" (love this!) will be available as both a paper pieced quilt or a traditionally pieced quilt. This mini finishes at (roughly) 18 x 8 ''. 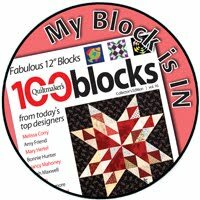 I quilted mine using matchstick quilting - see this tutorial! Instructions for the "repeat" quit will be available as paper pieced patterns. Never done any paper piecing? I'll have a tutorial for the letter e and there are plenty of great other tutorials and videos out there for you to consult. This quilt finishes at 30 x 30''. Now, the fun part - the announcement of the sponsors for this event. I very much thank them for their support - I am very excited to share! Fat Quarter Shop, one of my blog sponsors, offers a tremendous selection of fabric and very beautiful (and tempting!) block of the month offerings. Fat Quarter Shop offers fabric from many different manufacturers and you can find anything you are looking for there! 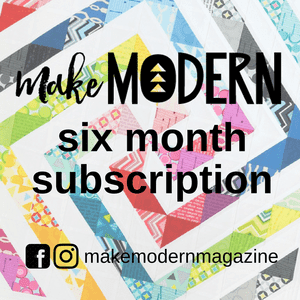 A new and exciting product is the Sew Sampler - a monthly subscription box filled with great products. 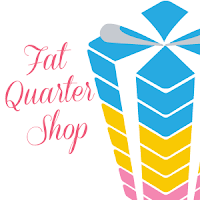 Fat Quarter Shop is offering a $25 gift certificates for the QAL. American Made Brand solids, one of my blog sponsors, has a collection of 75 beautiful colors of fabric completely manufactured in the United States - from the cotton to the finished fabric! The fabric has deep rich color and I love the feel of the fabric (the hand.) My repeat quilt top was made exclusively of American Made Brand solids. American Made Brand is offering a fabric bundle for the QAL. Busy Hands Quilts is offering three quilt patterns from her Etsy store. You can see more of Myra's beautiful work on her Busy Hands Quilts blog. Prizes will be awarded randomly at the end of the QAL to participants. 1 - enter your quilt (quilted or not quilted) into the linky for a chance in the participant giveway. I really like it when people take a quilt and make it their own so I want to support some variations in finishes if you don't want to make this exact quilt. 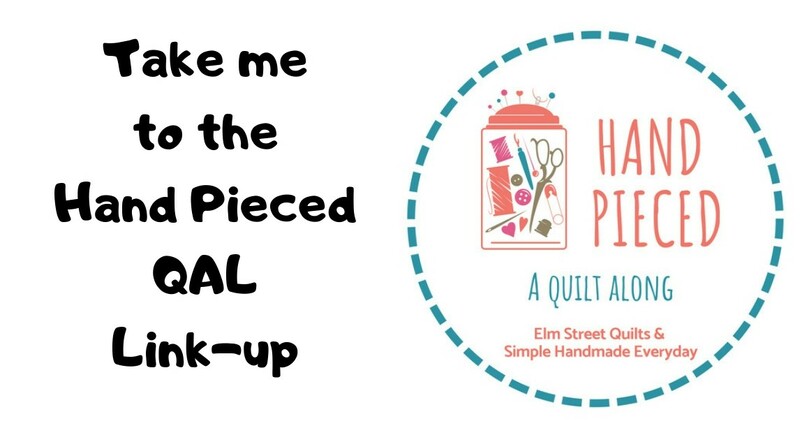 Must use the paper piecing patterns supplied as part of the QAL for the letters OR use the traditional piecing instructions for the word "quilt"
If you have trouble with the linky, just email a photo to elmstreetquilts at gmail dot com and I'll update the linky for you! Each entry in the linky is worth 10 points in the participant giveaway. You can enter more than one quilt top. 2 - Share progress photos in the Elm Street Quilts QAL Facebook group. Come cheer on others and make new friends. Don't use Facebook? Share your progress on Instagram. Make sure your mark the photo with @elmstreetquilts and use #ESQrepeatQAL as the social tag. Don't use Instagram either? Send me a progress photo via email to elmstreetquilts at gmail dot com. Each progress photo shared is worth 1 point in the participant giveaway. Multiple progress photos count for multiple entries. 3 - Help me spread the word for the QAL - grab a button from the sidebar for your blog and tell people about the QAL in a blog post sometime before June 30 for a chance to win a bonus prize! After you post, record your blog post here to enter. The detailed QAL schedule can be found here on the main QAL page. Patterns and tutorials will arrive each Monday, starting on June 13 and run through July 11. The linky party for your finished (quilted or not) quilt tops opens July 18th and will run through August 5. Prizes to be awarded on August 6. Tune in on Monday June 6 for fabric requirements and suggested supplies. The letters/pattern are going to be available as the schedule implies just a few each week, or do we get them all at once? Great sponsors, fun design Patty!! Totally enjoyed the bargello QAL and am looking forward to this one as well! Can't wait! I'm looking forward to this! I'm not the best at documenting my progress, but I'll try! Although, my prize will be making it! Let's celebrate with a giveaway! Look at all the pretty vowels! The (endless) lines of wavy quilting is DONE!